More gluten-free stuff. My daughter seems to have out-grown her egg allergy, so there is one item off the banned list, but she still can’t tolerate gluten, dairy and soy. Soy is definitely the real killer here. It’s in all the gluten free breads and bread mixes. I HATE YOU SOY!!! Not true, I love soy milk and tofu and soy sauce and miso paste and all kinds of soy products. I just wish Luci could too!!! BACK ON TOPIC: This recipe is a pimped-out version of the Vanillla Muffins on the Orgran website (www.orgran.com). I use Orgran All Purpose GF flour, but I’m sure other GF flours would be just as good. I prefer vanilla extract to vanilla essence. It packs more of a punch. I would even suggest vanilla paste for even more vanilla punch! The water measurements are a bit vague as the recipe really needs 500ml of liquids- that being made up of margarine, eggs, vanilla, coconut powder and warm water. The eggs are an unknown quantity, so I just want the entire lot to add up to 500ml. This requires you to use a measure jug with a capacity of at least 500ml and put in the melted butter, vanilla extract, eggs, coconut powder and THEN add some water to make it up to 500ml. You could leave the coconut powder out and use coconut cream instead of water, but I like the powder form as you can get a really intense coconut hit without adding lots of liquids. I also added about 1/2 cup of craisens (you know, dried cranberries) to the batter and put a few on top for decoration. You could leave those out, or use other things. You could even put a little bit of jam in the middle and make a little jammy surprise centre! Please check that ALL your ingredients are gluten free. You wouldn’t believe the places gluten can be hidden. In particular, check your cornflour, icing sugar and baking powder. My buttery icing is only a guide, I’m guessing on the icing sugar amounts as I always add little bits more here and there to get the taste right for ME. If dairy is not a problem, I would use cream cheese instead of margarine. Finally, I imagine this would make more than 12 regular cupcakes. Fill the cases 2/3, otherwise you will get overflow. I used a mixture of mini-cupcakes and slightly larger cupcake papers that stand alone without the tray. I don’t recommend these big ones. Well. Not filled right up, anyway. Ruins the cake to icing ration, if you ask me. Enjoy! Sift all flours, baking powder and coconut milk powder into a bowl with the sugar and desiccated coconut. In a jug, mix the eggs, melted butter, vanilla and coconut powder then add warm water to make it up to 500ml. Briefly mix the liquids and dry ingredients together (try not to beat for too long or too vigorously otherwise the rising agent will do it’s party trick before you go to bake!!) then spoon into cupcake patties. Bake for 15-18 minutes or until they spring back at touch. Cool, ice and decorate as you please!! Now, it is going to sound like some kind of strange torture for a foodie like me, but for the last 7 months I have been striving to overcome adversity and create a chocolate cake that contains no milk, no soy, no wheat & no egg so that my little Luci can eat cake on her first birthday! It has been a dream of mine for a while now to open a cafe that specialised in allergy aware foods that don’t assume you only have ONE allergy or that soy is the answer to a dairy allergy. And the amount of times I asked if there were any dairy-free cakes and got the response of “no, but we have some gluten-free ones” really started to bug me. DAIRY and WHEAT are NOT the same thing!!! Enough of that, though. That’s fodder for another rant…uhm, I mean blog. It seemed easy enough in the beginning to achieve my goal as there are all kinds of allergy aware foods available at these days. But do they taste good? Often not. Are the easy to cook with? NO. 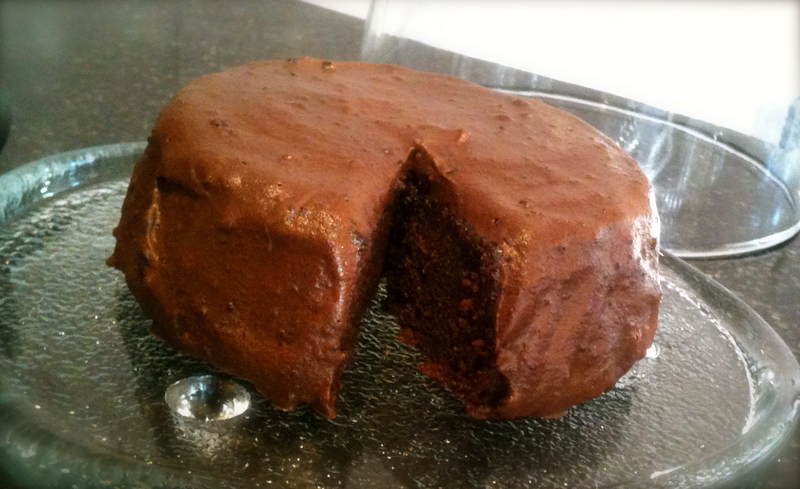 So here it is, my chocolate cake recipe that works and tastes *pretty good. *with of course the circumstances and realities of gluten free-ness taken into account when judging “good” taste. Let me start by saying that this recipe is a half mix. I use a 15cm diameter round tin. I only do this so that when I am tweaking recipes I do not end up with 5 enormous, not quite right, chocolate cakes to eat. Double it to make a regular size cake. It shouldn’t affect the cooking time too much. It is important not to over mix the ingredients. This recipe has no egg, so there is no need to beat proteins into submission. All of the ingredients should mix together really easily (except for cocoa which is shocking for forming lumps hence the need for sifting) If you over mix the cake will not rise due to the baking powder already fizzing up and doing its thing prematurely. Mixing the cake on super duper high speed for 5 minutes will NOT make it light and fluffy! Also, be careful with the oil you use. Extra virgin olive oil will make the cake taste like extra virgin olive oil. If you like that kind of thing, go with it, if you don’t, get a milder tasting oil. The vinegar is not in there for taste , it helps activate the rising agents. As far as I can tell, different vinegars haven’t changed the taste. But I like to think that if you used a really nice balsamic you might get a richness and depth to the cake that white vinegar wouldn’t otherwise proffer. Now all the disclaimers are done, please enjoy some “free” cake. If only there was a way I could extract the calories……. Sift together flour and cocoa and generally combine all dry ingredients. Mix all wet ingredients together and then add to dry ones. 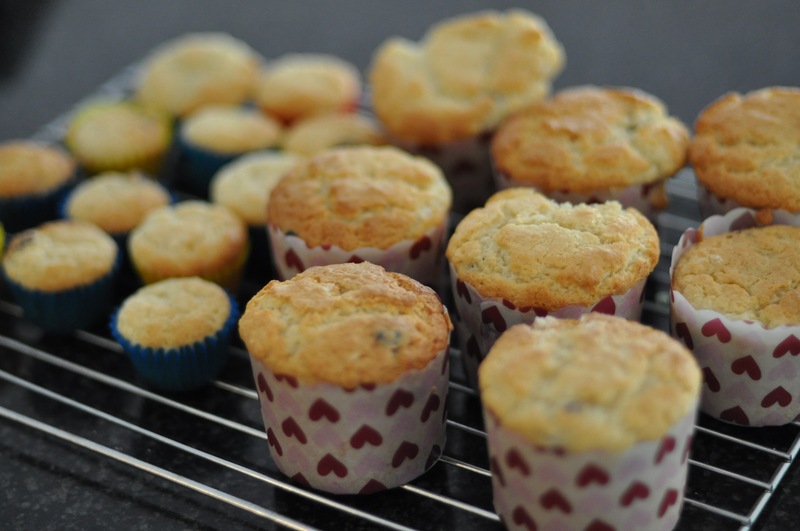 By hand (or on a low mixer speed) stir ingredients until they are mixed and then immediately put into cake tin or cupcake tray. Bake cake for about 35-45 min. Cupcake for about 15-20 min. 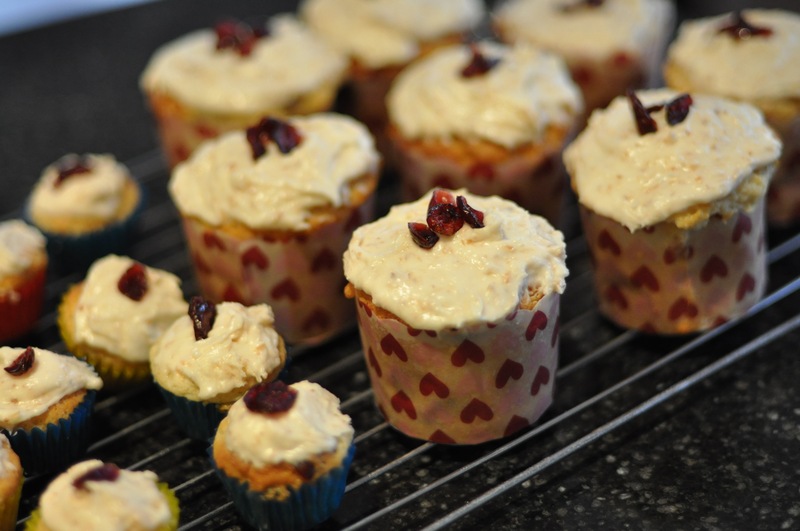 You can make butter icing by using Nuttlex, cocoa and gluten-free icing sugar. Add an incy wincy bit of salt. maybe some instant coffee. YUM!!!! !